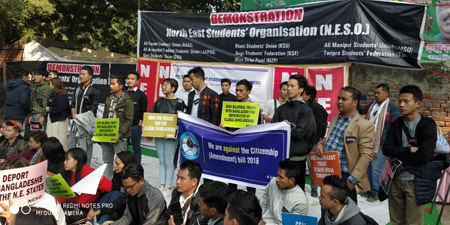 NEW DELHI, Dec 19: A delegation of the All Arunachal Pradesh Students’ Union (AAPSU) led by its president Hawa Bagang and general secretary Tobom Dai on Wednesday took part in the sit-in protest against the Citizenship Amendment Bill, 2016, organized at Jantar Mantar here by the North East Students’ Organization (NESO). The sit-in protest was a part of the numerous agitation programmes that the NESO has launched to demand scrapping of the Citizenship Amendment Bill. 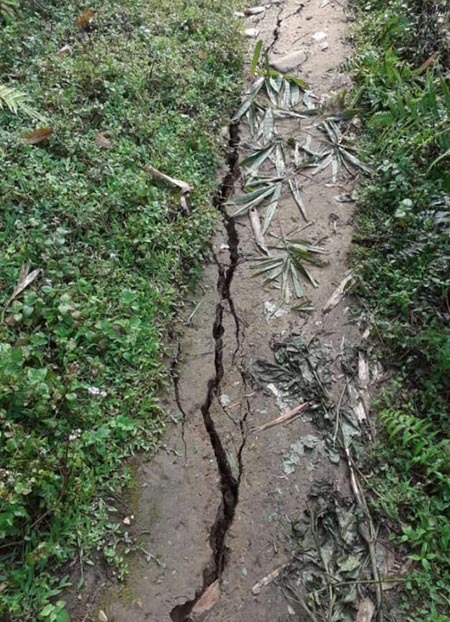 Apart from the AAPSU, all the component organisation of the NESO, such as the All Assam Students’ Union, the Naga Students’ Federation, the Mizo Zirlai Pawl, the Twipra Students’ Federation, the Garo Students’ Union, the Khasi Students’ Union, and the All Manipur Students’ Union took part in the protest. The organisation has said it will carry out further agitation programmes until the bill is scrapped altogether. The Arunachal contingent received strong supported from its Delhi, Chandigarh and Dehradun units.